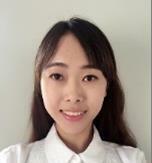 Huiru Wang is an MSc student in SKEMA Business School, majoring in Project and Programme Management & Business Development (PPMBD). She graduated from Groupe Sup de Co La Rochelle Business School and holds a Bachelor’s high-quality diploma in commerce and management operations. She has attended four internships in different types of companies: Sephora in France, Rose Rouge in France, Dong Ya in Chine. She also has background knowledge about international business. She lives in Paris, France now, and can be contacted at [email protected].